If you follow Mama’s Haven on Instagram, you know by now that as a family, we have spent the last three days travelling in the South of Ireland. Our love for adventure, Dublin and everything Irish is nothing new but this time, we have been asked by Hotel Direct to give them a mention in relation to their New Year’s Eve campaign. The campaign aims to look at and debunk certain myths regarding eight of the biggest cities in the UK. 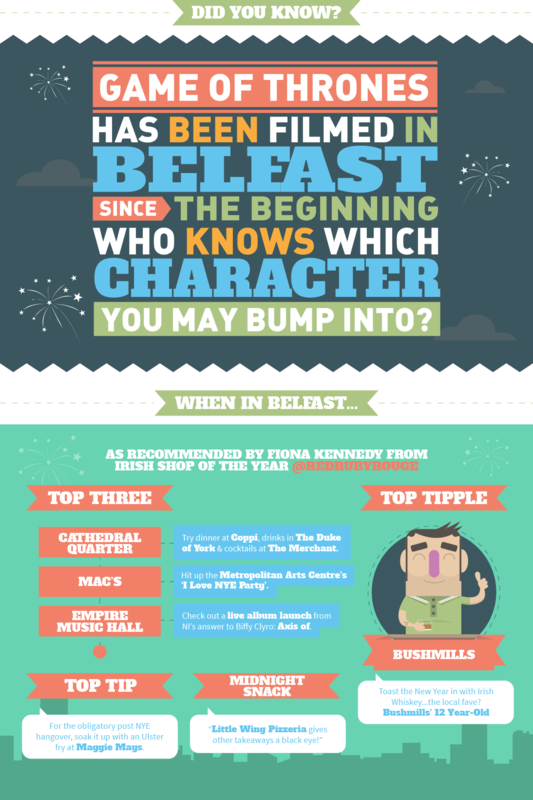 Belfast, Birmingham, Cardiff, Dublin, Edinburgh, Leeds, London and Manchester all get a mention and all get featured (and compared), but not maybe for the reasons we would expect them to! Looking at a number of criteria, including the average cost of a hotel room, the average cost of a pint and club entry and number of pubs per square mile, the low-cost accommodation specialist tries to determine the best place to party this New Year’s Eve. So, for example, if you are a foodie, like me, your natural choice would be, according to the charts, the Dublin castle grounds where a food village will be hosted as part of the New Year’s celebrations! But if you are looking for a refreshing way to start the New Year then maybe Edinburgh and its Loony Dook would be the place for you. What better way to make a statement for a fresh start than plunge yourself(or watch the brave do it 🙂 into the icy waters of the Forth? If you are still young, with a racing heart and no early morning commitments, then Leeds might be the place for you. Bring your friends along, it is meant to be one of the UK’s top five retail destinations so a bit of retail therapy will do no harm, to calm the hangovers ;-)! I will leave it up to you to have a look at the website’s infographics and decide which destination appeals to your taste, age and personality type. To make the choice even more appealing, when you quote NYEPARTY14 you can redeem a 10% discount on all telephone bookings made between 1/12/14-15/1/14. Disclaimer: We were offered remuneration in order to put together this post and mention the above mentioned merchant but all opinions expressed are entirely ours.